Rumi -- the legendary Persian poet -- delivered this equally legendary line almost one thousand years ago. And his message still rings true to this day. While red wine seems to be the preferred vino for so-called connoisseurs, it's lighter cousin (you know… white wine) should not be discounted, as it's the ideal choice for everything from getting toasty with your mom, to eating a nice plate of Long Island oysters. Or doing both at the same time. Which sounds kind of fun. But if you don't really know the difference between a buttery Chardonnay and a citrus-accented Pinot Grig, how are you supposed to walk into a wine store with confidence, or order from an extensive wine list with any semblance of certainty? Wine is an investment, and how can you be expected to invest wisely if you don't know what hell you are talking about? To help us navigate through these murky, off-white waters, we've enlisted the help of Tracy Jenkins, the beverage director for Nicky's Coal Fired -- a Nashville-based Italian eatery with an extensive and exhaustive wine list -- who definitely knows what the hell she is talking about. So take five-to-seven minutes (depending on your reading level), and school yourself on these seven styles of white wine. Remember: there's nothing sexier than ordering with confidence. Except for ordering white wine with confidence. (I'm pretty sure Rumi said that, too). "You know, a lot of people consider Chardonnay to be a safe bet, something light and easy and comfortable," Jenkins said, "but in reality, it's a lot more full-bodied and aggressive than you may think. And the profile can also vary greatly depending on the region. There's a lot to be considered, here." Chardonnay is thought by many to be "standard" white wine. On the whole, it will usually be fruity, velvety, and full. 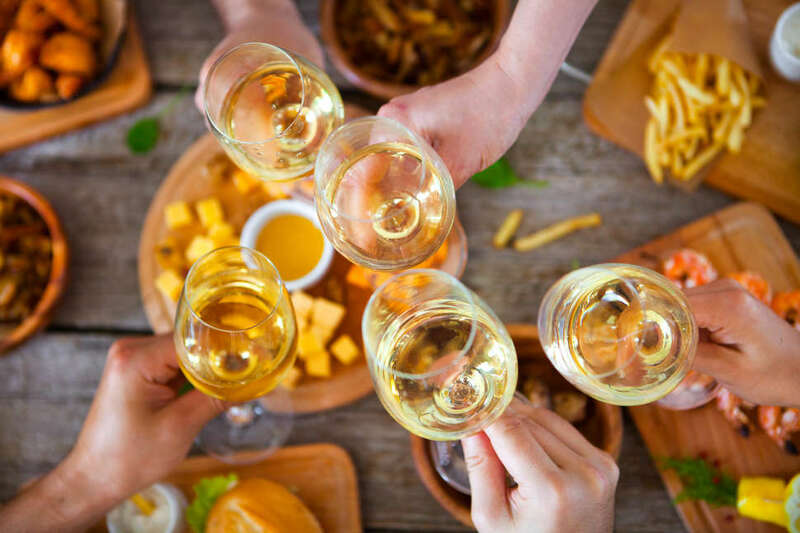 But American Chardonnay will typically be creamy, and more "buttery" than blends that come from the Burgundy region of France, for example (which will be a little more pointed, and will cut through some softer foods). And for what it's worth, an "unoaked chardonnay" -- meaning not aged in oak barrels -- will often have a much lighter body, and carry some stronger, fruitier flavors that might be absorbed during the process. "Chardonnay can be a safe bet, a crowd-pleaser, especially if it's an American blend. But make sure you also find out where it's actually from, before you make any assumptions," Jenkins added. New-school, American Chardonnay will definitely pair well with anything creamy, or packing plenty of umami. "A really rich, mushroom-centric dish that would be ideal there," Jenkins said. 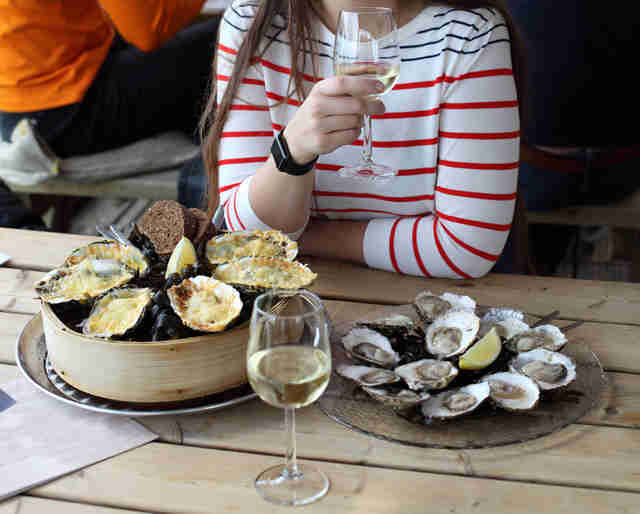 "A Chablis, on the other hand, is super light and mineral-y, and would be better served as a companion to oysters." Make sure to read your labels, potential wine-drinkers! More on the dry side. Slightly tart. Hints of fruit. Definitely more acidic than your classic Chardonnay. "My ideal Sauv Blanc is probably a zippy, New Zealand variety," Jenkins said. "Often you'll get a really nice, green, almost grapefruit-y taste. It's an excellent wine to drink on it's own, without food. It's bright, refreshing, and can stand alone as an experience." Some Sauv Blancs can also have a subtle layer of mineral taste to them, but not enough to throw off the layers of citrus. "It's a great pick if you want something light, and usually just sweet enough," she added. 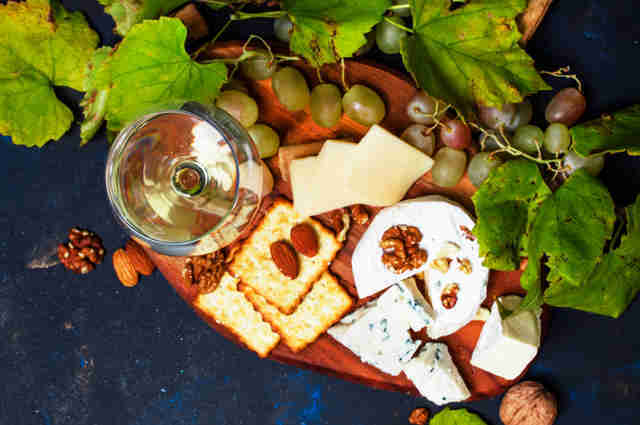 "A softer Sauvignon Blanc will go really well with almost any type of cheese, or charcuterie," Jenkins said. "But ones with a more mineral taste will go better with fresh seafood. Either one is a solid bet, though." 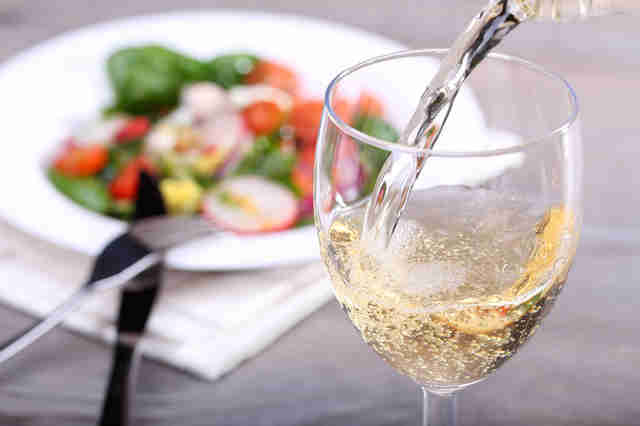 "Moscato is a style that has become increasingly popular over the past five years or so," Jenkins said. "I continue to see it more and more, and its popularity doesn't seem to be slowing down." Think of a Riesling (we'll get to those, later) but more versatile, and not as outrightly sweet. Its bright. Its fresh. But, it still has a distinct "softness" to it, that makes it infinitely drinkable. "It's not really a surprise that more people are discovering, and falling in love with Moscato. It's a really versatile wine, that pairs well with a so many foods," Jenkins said. "It's definitely fun to drink." Because it's usually so fresh, light, and fun, it makes an ideal partner for a crisp summer salad. "Or, it pairs really well with a spicier food," Jenkins said. "I would definitely drink a glass or two with a Thai dish, for instance. It won't overpower the food, and the spice in this case would only compliment the wine." With all due respect to Chardonnay, Pinot Grigio is probably the true crowd-pleaser of the white wine world. It's light-to-medium in body. Always crisp, and usually dry. "You can usually pick out a Pinot Grigio by its light yellow, almost straw-colored tint," Jenkins said. "In most cases, you can expect a citrusy taste, with green apple notes." One of the reasons Pinot Grigio is such a crowd pleaser, is because the varietal is pretty consistent, no matter where it comes from. "If you order a glass or bottle of Pinot Grigio almost anywhere in the world, you should expect basically the same experience," she said. And speaking of all over the world, "Pinot Gris" is just the Italian translation of Pinot Grigio -- so you are getting the same thing. It's like going to Starbucks in another country. It might not be an adventure, but at least you know your latte is going to be familiar, right? Pinot Grigios can have strong fruit notes that cut through some weaker foods, so pair carefully. 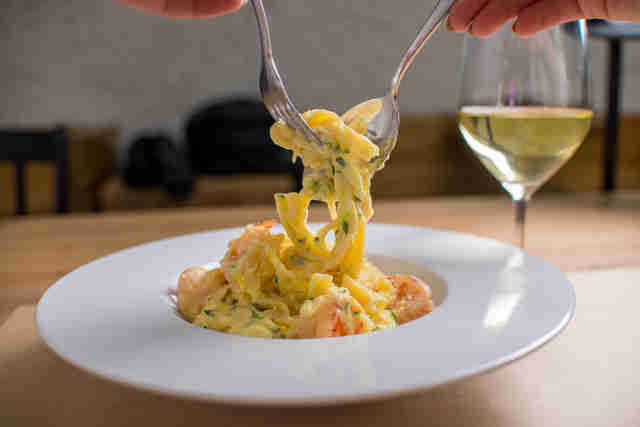 "A nice, creamy pasta is definitely a good choice here, or a robust salad," Jenkins said. "Pinot Grigio is also one of those wines that is great on its own -- so don't feel like you have to pair it with food, necessarily." A soft, sweet wine, with floral notes and an intense mouthfeel that might make you feel like your tongue is "coated," (in a good way). "It's primarily made in the north of France, it's a little colder there, so the grapes spend a little more time on the vine, take a little bit longer to ripen," Jenkins said. "This tends to make the wine a little bit sweeter." Typically more sacharrine than a Moscato, but not as sweet as a Riesling, Gewürztraminer is a severely underrated wine for anyone looking for that Goldilocks middle ground of dry/sweet. 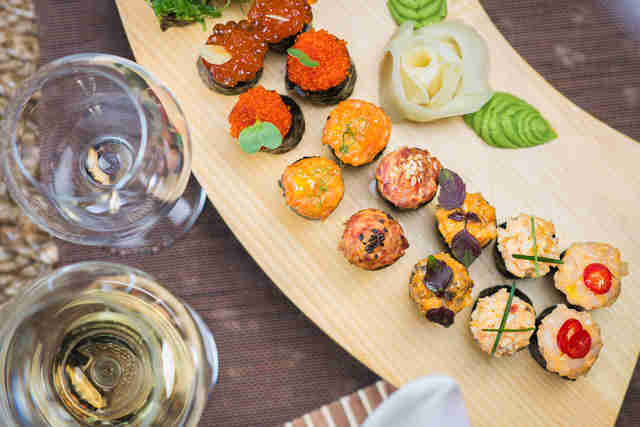 "Again, this is another sweet wine that will go amazingly with spicy, Asian foods," Jenkins said. "And, if you get one that was made with really ripe grapes, it can definitely serve as a dessert wine." Riesling might be the world's most popular dessert wine, but you shouldn't dismiss it as just being saccharine. It has so much more going for it, people. "Most people think of Riesling as a super sweet wine," Jenkins said, "and in a lot of cases, it will be really, really sweet. But there are some expressions that have a more mineral-y, almost 'petrol' or oily feel to them. The body will be steeper, and have more weight to it." Still, if you want a super sweet white wine -- like really sweet -- your best bet is probably still a Riesling. "They vary in their sweetness, but all of them are definitely sweet," Jenkins said. 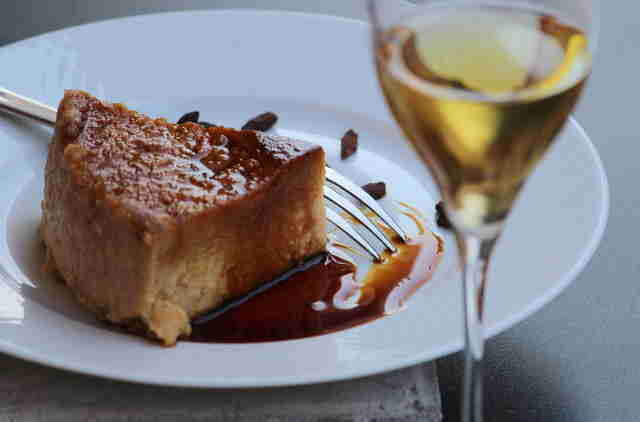 "It's definitely a dessert wine in many cases, so I'd suggest serving it with a fruity, summer cobbler, for example," Jenkins said. And, continuing the trend, it's a solid choice to pair with spice. "Surprisingly, Riesling can go very well with Indian dishes that pack a ton of spice, along with more savory stuff," Jenkins said. Though primarily a blending grape, on its own Viognier will have a medium to full body, reminiscent of a softer fruit. "You might get a hint of peach, or apricot, on the nose," Jenkins said. "A lot of these will now come out of Australia, and Aussies do love their bold, fruity wines. Their Viogniers are no exception here. " It's fresh. It's bright. It's fruity. And it's underrated… for now. "This is another varietal that would go well with a salad, something with a cucumber base," Jenkins said. 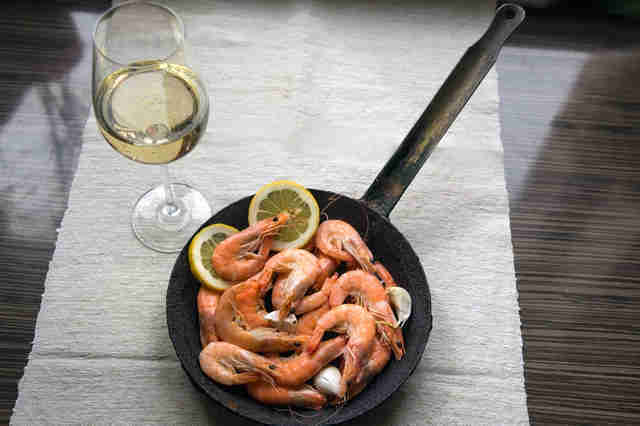 "Or, some grilled shrimp, with a little garlic. It will cut through the strong flavoring just enough to make it worth it."